Hedge fund manager, entrepreneur and best -selling author, James Altucher hosted Stansberry Radio last week and discussed his new book “Choose Yourself!” plus explained his decision not to run for a seat in the U.S. Congress. and so I decided if I really wanted to affect change, I just have to keep doing what I'm doing, which is to say what I believe in to the largest possible audience and not be one person among 435 in a congress that nobody pays attention to anyway. Michael Pento, author of “The Coming Bond Market Collapse: How to Survive the Demise of the U.S. Debt Market” was a guest on the show. Michael and James discussed the destruction of the middle class, the pending collapse of the bond market, interest rates, and American debt. Former NFL quarterback, Dan Marino also joined Altucher and Stansberry Radio Co-Host, Aaron Brabham and talked about Corporate Resources Management, a corporate staffing company that both Marino and Altucher are heavily involved. You can listen to the entire interview (Episode 80) here. James Altucher is an American hedge fund manager, entrepreneur, and bestselling author. He has founded or cofounded over 20 companies, including Reset Inc. and StockPickr and claims to have failed at 17 of them. He has published 11 books, and is a frequent contributor to publications including The Financial Times, TheStreet.com, TechCrunch, Seeking Alpha and The Huffington Post. 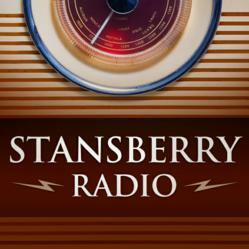 Stansberry Radio Network segments can be accessed at http://www.stansberryradio1.com. Stansberry Radio with Porter Stansberry is a top three investing podcast on iTunes, having more than 100,000 downloads and listens per month. New episodes are released every Thursday afternoon.